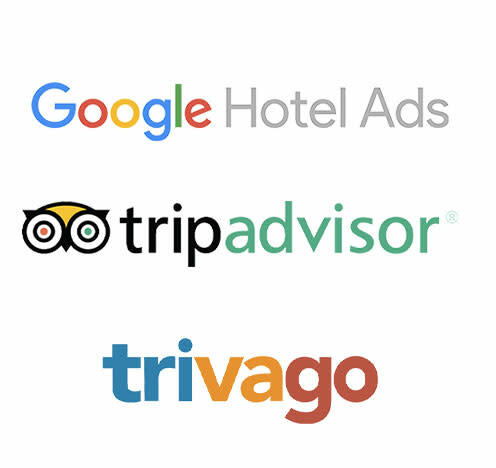 Our partnership with metasearch engines Google Hotel Ads, TripAdvisor and Trivago enables consumers to book with lodging properties directly from their search results pages. Until now, these metasearch engines only allowed the consumer to book through an online travel agency (OTA). Over the last seven years, we have proven direct bookings provide more profit for lodgings, and consumers prefer to book directly with the property rather than through an OTA. Your lodging’s rates and availability will be featured when consumers search for room nights through Google Hotel Ads, TripAdvisor and Trivago, and consumers will book directly with your property. 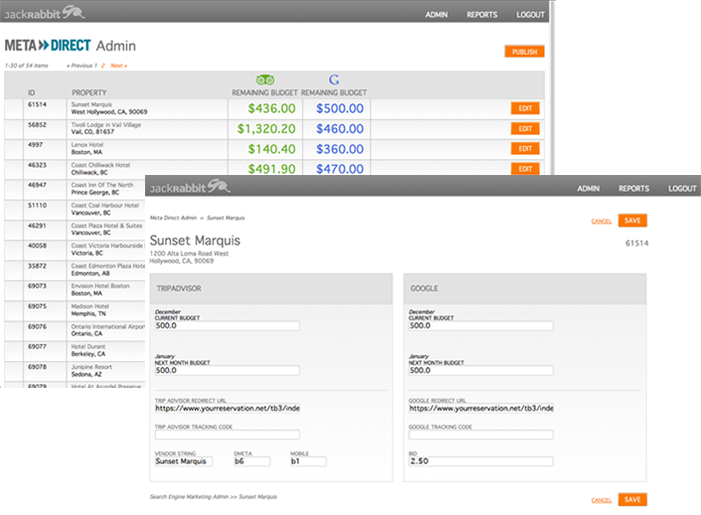 Meta › Direct allows lodgings to manage bids for placement in Google Hotel Price Ads, Trivago and TripAdvisor. Participating properties automatically have the rates and availability from their websites posted into the metasearch engines, with no inventory management or allocation. Deep link redirects can be configured to track conversions from each metasearch engine separately.